When was the last time I opened a paperback book and read it from first to last page? Uhmmmm let me think !!! I guess since 2006 when I finished college. Angel laws of blogging was recommended to me by a friend of mine which by the way has a very successful blog. I ordered the book from Amazon.com and received it in two days. I never been so excited to read a book before. My hubby was so amazed that I was sitting and reading a book that he snapped this pic. 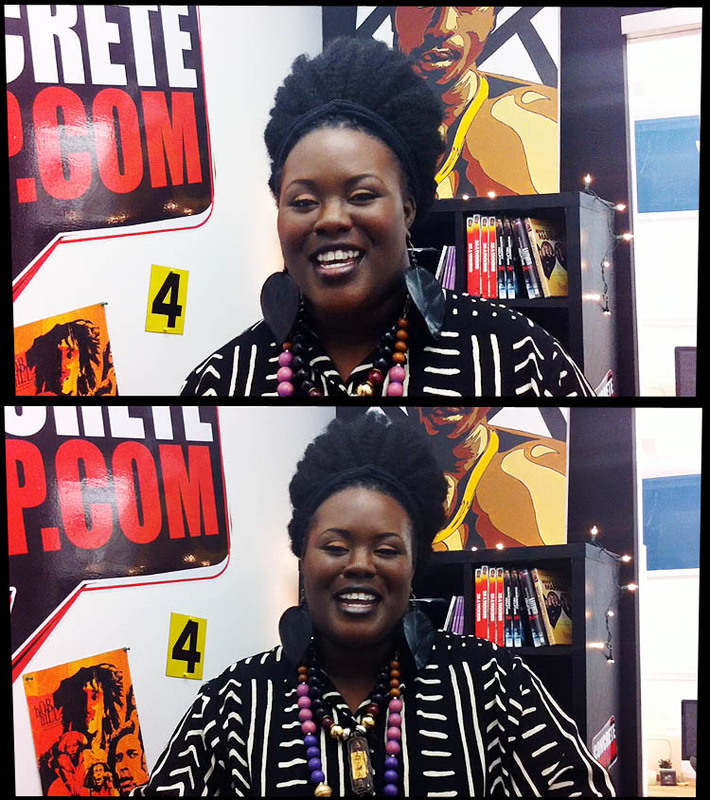 Anyways Angel laws is the creator/founder of the very successful black entertainment blog Concrete loop. Angel walk us through her journey from time she registered her domain name to the time her traffic skyrocketed , to the time she bought her first house from blogging. 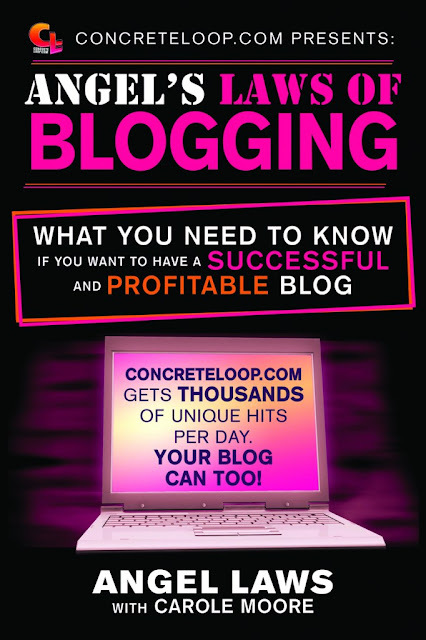 In this book you will learn how to stand out among other blogs, how to monetize your blog , tips on branding and more. 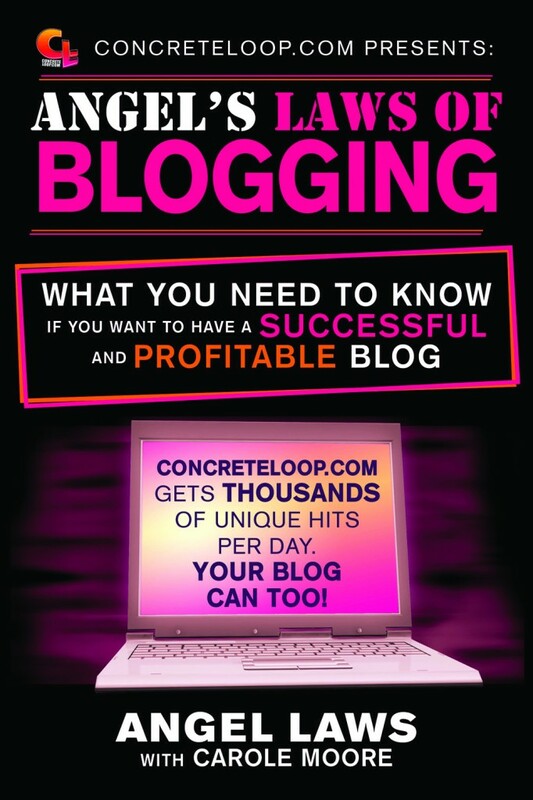 The book is much more helpful to those in the entertainment blogging but every blogger can take something out of it. 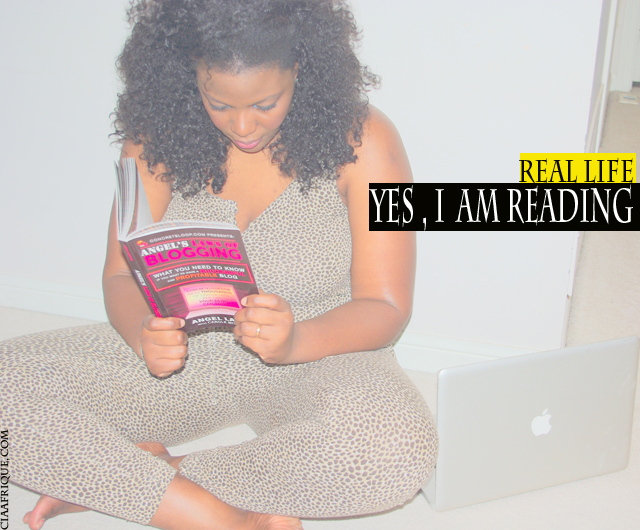 Before reading the book I was seriously thinking about taking a break from blogging ( because of a lot reasons). Although its rewarding it also takes a lot of time. I am also reading another book similar to this one and have learned a lot. This book is a must read for anyone serious about creating their own blog, website and turn it into brand. Whether you want to blog for money or just do it as a hobby then make sure to pick up ‘Angel’s Laws Of Blogging’ its a very great educational tool to help you reach your goals. 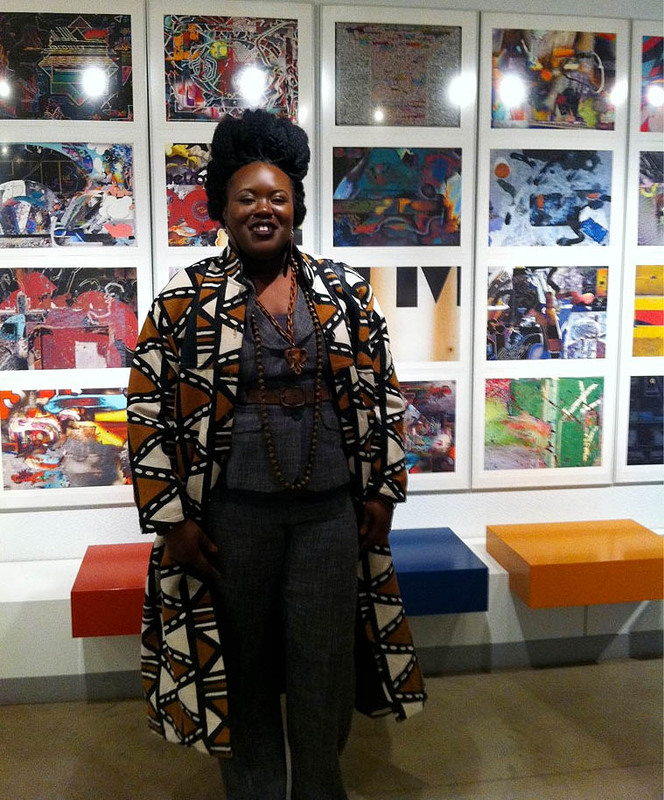 I also visited Angel's personal blog and could not help but notice that she is rocking some fly Mud cloth inspired jackets. Love it !!!!!! You should read Yuli Ziv's book "Fashion 2.0 Blogging Your Way to the Front Row". It gives great insights for fashion bloggers. I REAL HAVE TO FIND IT!! I ordered one yesterday. Can't wait to receive it.